This is the first post in a three-part series spotlighting Legislative Insight database features. The Legislative Insight database enable users to trace the development of a public law from its early consideration to its enactment. Through this database, you can search bills, the congressional record, CRS reports, public hearings, and more. An under-utilized searching tool within the database is the Timeline Browse. 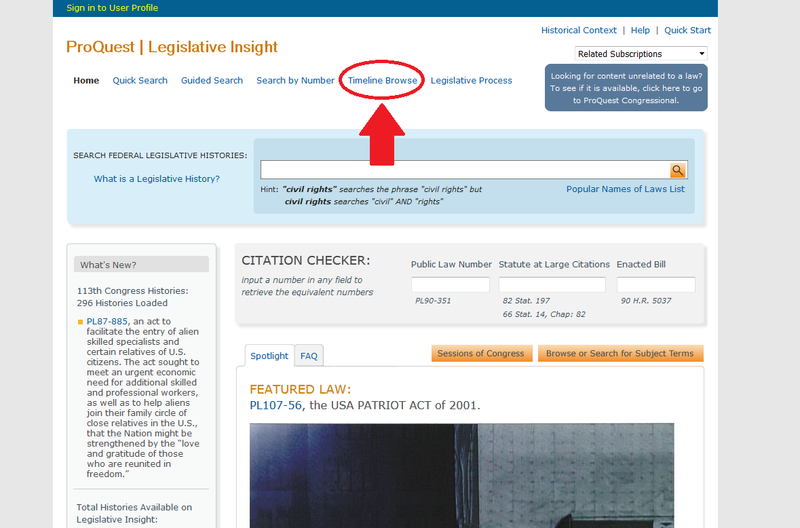 The Timeline Browse link is located on the Legislative Insight homepage top menu bar (shown below). 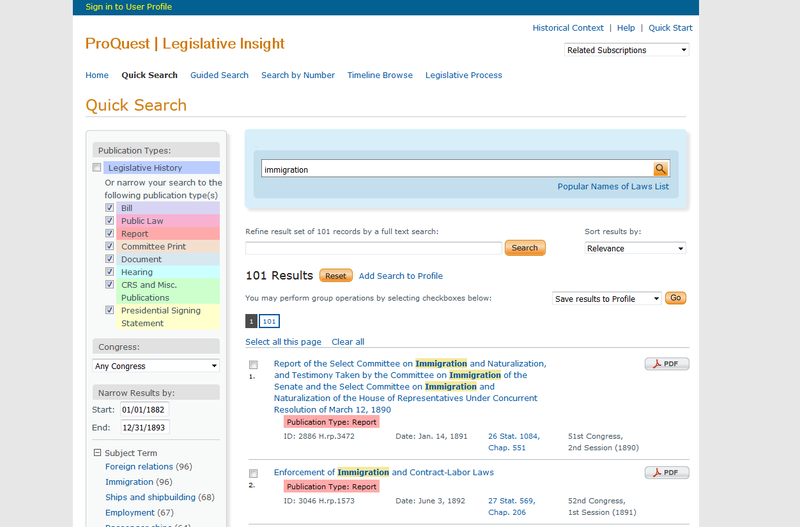 The Timeline Browse allows for searches based on broad subject matters–including Education, Immigration, and Water–listing out important acts and related documents in each subject. 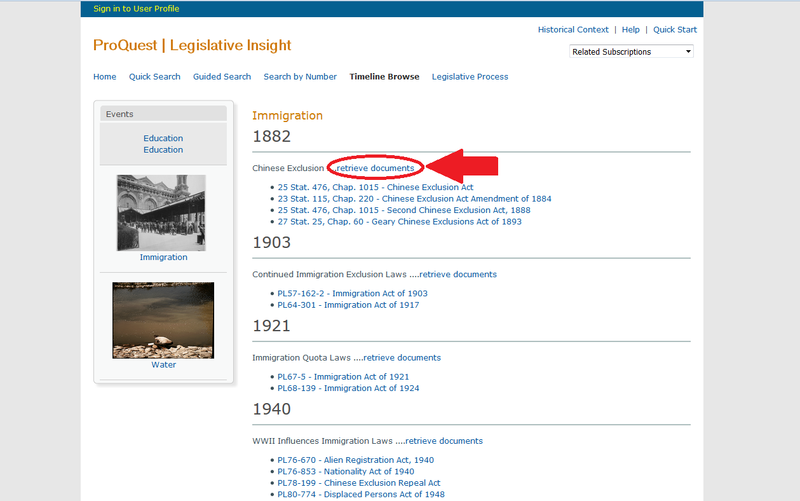 For example, the Immigration subject timeline spans between 1882, with the Chinese Exclusion Act, and 2006, with the Secure the Fence Act. By selecting “retrieve documents,” you will be re-directed to a pre-filled “Quick Search” form (shown below). A user can then narrow the search results by publication type, date, subject term, or source.